A roman arch which is also known as a semi-circular arch. It forms a semi-circle. It is generally made of brick masonry. 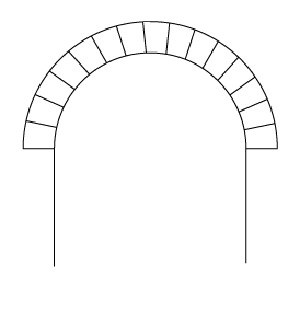 A Syrian arch which is also known as a Segmental arch. It forms a partial curve since it has a small rise in the centre and is semi-elliptical across the top. Flattened Gothic arches are also known as Tudor arches. Tudor arches have a low rise because of which they are named as flattened gothic arches. Gothic arches are generally narrower than the flattened gothic arches. Flat arches are also known as straight arches. 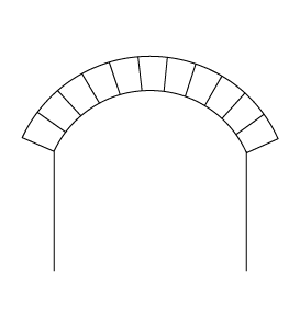 As the name itself suggests, the arch spans straight across the opening without any curvation. 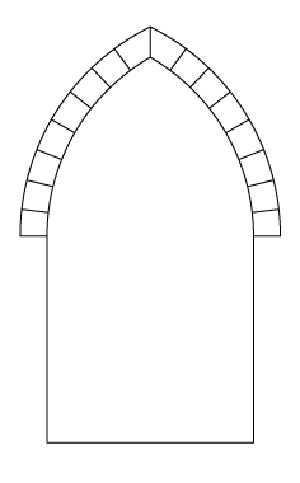 Gothic arches are narrow arches with a pointed opening. It was considered to be a more sinuous and elegant successor to the roman arch style. Gothic arches have been used in cathedrals of the Middle ages across Europe. 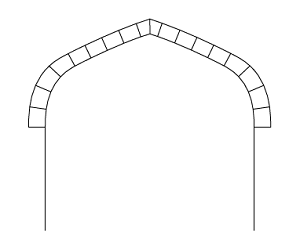 A Moorish arches are also called Horseshoe arches. 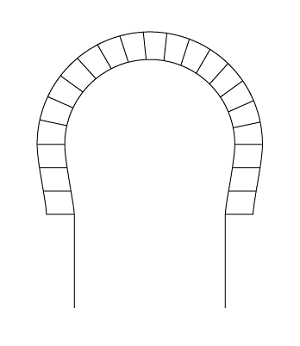 The arch resembles the look of a horseshoe magnet. 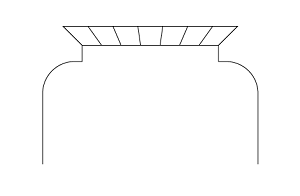 The curved arch line extends beyond the semi-circular line of the arch. In our next article, we will discuss different types of columns. This entry was posted by Benzu JK on May 1, 2012, 4:53 am and is filed under Architecture. You can follow any responses to this entry through RSS 2.0.